NOTE: If you truncate your logs, please ensure you truncate the olap server log and the core log at the same time. As the Dashboard uses data from both logs so if they are out of sync, the numbers displays might not be correct. Installing the new Dashboard Download the .pb file here This is basically the same steps as the last Dashboard (which you can find here), but I will repeat the process for anyone doing it for the first time: 1. 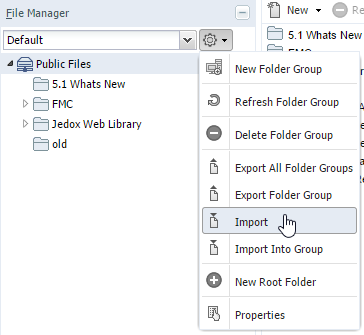 Log in to Jedox Web, and go to File Manager. Import the .pb file 2. Once imported, you should see the following: 3. Download the Jedox-Stats.xml. This is a Jedox ETL Project. Open ETL Manager and import the project. 4. Download the Jedox-Stats.zip. Unzip this file. This is a Jedox database that you need to add to your Jedox data folder (stop the Jedox MOLAP Service first). 5. Start the MOLAP Service. Note, you can now change the ETL parameters on the dashboard itself: 6. Click the Run Stats button on the Dashboard. This will populate your cube with the settings from your system. 7. Once you have ran the ETL, refresh the Performance Dashboard. It should look something like this: You’re done! 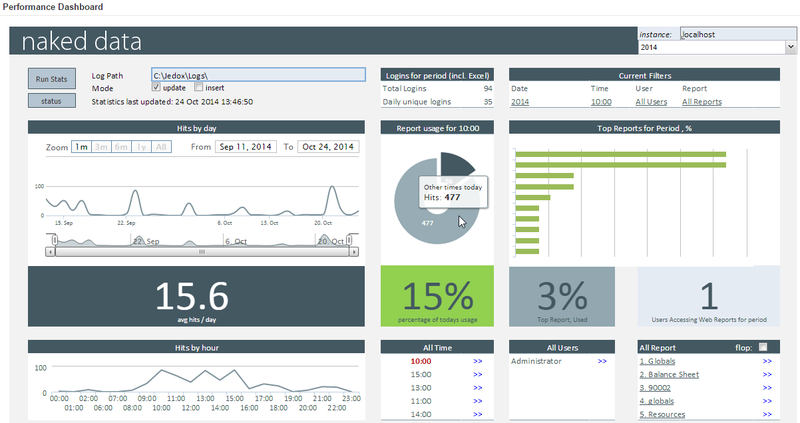 The idea of this Dashboard is to make managing your Jedox web reporting portal easier. If you know what reports are being used and which ones are not, you can manage report development and prioritise the types of reports that users are using. the dashboard is awesome. But since we updated to Jedox version 6.0 it doesn’t work anymore. Is there a general issue with the new version ? Hi, in version 6, you need to pass credentials to the ETL. This is not been changed in the version here, but we hope to update it soon.